Baugh's Blog: Book Review: Charles Dickens 11 - "Hard Times"
Book Review: Charles Dickens 11 - "Hard Times"
So in October he set off on a nine-week journey to some familiar haunts in Switzerland and Italy with two close friends – the writer Wilkie Collins and the artist Augustus Egg. He had known Egg since the late 1840s; and it was Egg who introduced him to Wilkie Collins at the beginning of 1851. 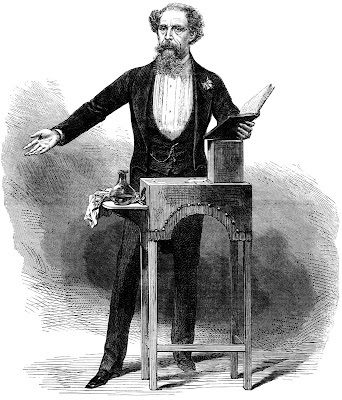 Augustus Egg and Wilkie Collins participated in many of the amateur theatrical performances that Dickens had produced on tour in northern England in 1852. Collins (who would later write the notable novels The Woman in White and The Moonstone in the 1860s) became a literary fellow traveller of his eminent friend and, in some ways, usurped for a while John Forster’s position as Dickens’s closest confidant. He stayed with Dickens in Boulogne from July to September, 1853, as he was completing Bleak House. And they became his travelling companions to the continent from October to December. When they got back to London in December, Dickens was immediately caught up in a lot of unfinished business for Household Words, his weekly magazine. And then he had to organise the traditional family theatricals at Tavistock House for Twelfth Night (the eve of the Feast of the Epiphany, January 6) – something his children always really looked forward to. But his main concern became the Public Readings he had promised to give in Birmingham as a benefit for the Industrial and Literary Institute of that city. He had agreed to do three performances: A Christmas Carol on December 27 and 30, and The Cricket on the Hearth on December 28. In the past, Dickens had often read portions of his latest work-in-progress aloud to a small coterie of family and friends, but now he was going to be reading in a large hall to an audience of 1,700 people. When he began that first Reading at Birmingham’s Town Hall, he was quite nervous; but once he got into it, he soon hit his stride. He was a natural performer, after all, and thrived on this sort of theatrical situation. He quickly established a close rapport with the crowd, who were enthralled to hear this famous author deliver one of his most popular works – despite the fact that he had misjudged the time it would take him to read the unabridged story. Dickens had estimated it would take two hours; but it actually went on for three! Careful cutting solved the problem for future readings – and A Christmas Carol became his favourite read-aloud work for the many long years ahead when he would tour in Britain and America doing scores and scores of these public Readings. These first Readings in Birmingham, in front of a predominantly working-class audience, were a triumph. And Dickens became aware of his “power” to sway crowds and “imbue” them with his own beliefs. The reception he had received in Birmingham had a sympathetic effect on the way he would present the working-class labourers of Coketown in his upcoming novel. Dickens had not wanted to be back writing a new novel so soon after the last. He was looking forward to a significant stretch of relative idleness throughout the spring and summer of 1854. But the sales of his weekly magazine, Household Words had dropped dramatically. In a move that recalled Dickens’s writing of The Old Curiosity Shop to boost the flagging sales of his previous magazine Master Humphrey’s Clock, his publishers, Bradbury and Evans, suggested that he write a new weekly serial for his current periodical. Dickens agreed. He made a special contract – signing on 28 December – to give them a story of equivalent length to five single, monthly issues of his usual novels (about 80,000 words). And he began work on the novel in late-January, 1854. The opening of the novel gave him some trouble. He did have a theme. He remembered having written an article for Household Words where he called for “a little more fancy among children, and a little less fact.” He planned to relate this idea specifically to the schooling of children, and to talk about it in reference to the influence of utilitarianism on contemporary thought. Dickens believed that utilitarianism was essentially a selfish philosophy, and that its values in education led to a lack of imaginative thought. As he put it in a letter to Charles Knight, utilitarianism “sees figures and averages, and nothing else.” But how to begin his story? He asked W. H. Wills, his full-time editorial assistant on Household Words to obtain a copy of the Educational Board’s series of questions used for the examination of teachers in schools. This led him to see that the educational theme he was beginning the book with – the utilitarian obsession with facts – could be extended into a critique of the manner in which the fashion for facts, figures and statistics was being used to abstract the sufferings of the urban poor: in other words, the oppressive effect of a child’s fact-based education that lacks any meaningful attention to fancy and imagination could be compared to the utilitarian notion of a completely rationalised society – which would oppress the cities’ poor and the industrialised working-class. And this interest in industrial labour led Dickens to pay closer attention to the emergence of labour unions in the mill-towns of the north. With this in mind – just five days after he had begun setting pen to paper on his new novel – Dickens suddenly decided to make a trip north to the city of Preston, in order to investigate a current strike under way by Preston weavers in that city’s mills. He was appalled by the working conditions that many of the labourers had to endure. He was impressed by their “astonishing fortitude and perseverance, their high sense of honour.” But he reacted negatively to some of the union’s strike organisers. 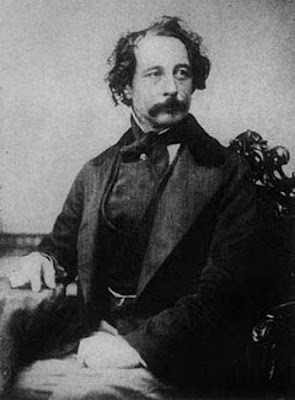 He didn’t think they represented the interests of the mill-workers at all – he called them “designing and turbulent spirits.” Dickens responded in a traditionally Liberal manner – if only there could be a mutual trust and regard between employers and employees, he thought, then perhaps the worst aspects of laissez-faire capitalism could be mitigated. This antagonism to a more ‘militant’ approach to labour activism led Dickens to create for his novel the disreputable character of Slackbridge, the trades-union organiser. Back in London, Dickens continued early work on the novel. He planned to begin publishing the serial at the beginning of April. And that’s what happened. 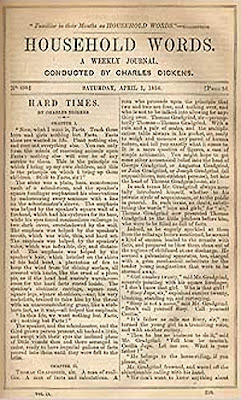 Hard Times: For These Times, Dickens’s tenth novel, was published in weekly parts in his magazine Household Words between April 1 and August 12, 1854. After the serialisation was complete, the novel was published in book form later that year. 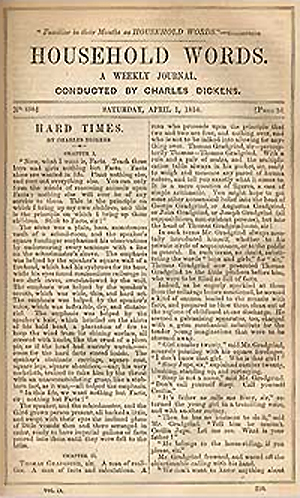 Hard Times was – by far – Dickens’s shortest novel (about 110,000 words), barely a quarter of the size of the books that came immediately before and after. It was different to all the novels that preceded it in several other ways: it had no Preface; the story contained no scenes whatsoever set in London; there was no love interest; the book was divided into a classical tripartite structure; and there were no illustrations – Household Words was all text, no pictures. 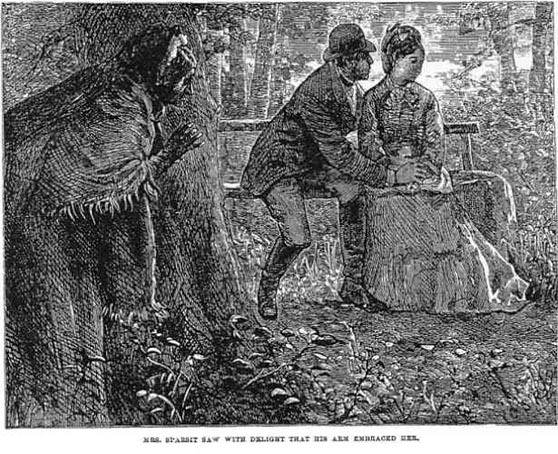 For a later edition of the book (1862), Frederick Walker provided four illustrations. The titles of each of the three sections in the novel came from a verse in Paul’s Epistle to the Galatians (6:7): “For whatsoever a man soweth, that shall he reap.” The three sections: Sowing, Reaping, Garnering. 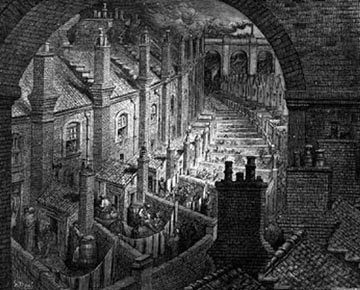 It was also the only novel of Dickens to devote so much attention to industrialism – although the topic did come up briefly in The Old Curiosity Shop (Little Nell’s visit to the iron foundary in Birmingham), Dombey And Son, (the environmental effects and hazards to citizens brought on by development of the railways), and Bleak House (the ironmaster, Mr. Rouncewell, and his factory up north). Hard Times is also very different in style to Dickens’s other books. Unlike the dense, figurative, and poetic language of Bleak House – its immediate predecessor – for example, this book is written in a sparse style. 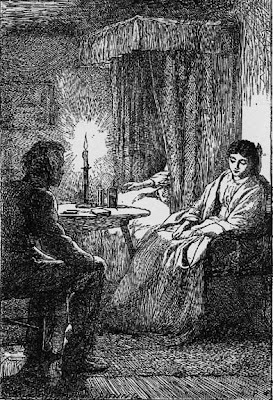 The style suits the different intention that Dickens has for the work; he is not trying to create imaginatively a realistic world – he is writing with a didactic purpose. Ideas, not symbols, are the focus of his enterprise. To emphasise the didactic tone, perhaps, the novel is laid out on the front page of his magazine, Household Words, in two columns of print, with no illustrations – as though it were a cross between a journalistic report and a newspaper editorial. What he is creating is not a complex, imagined world; it is a simple, moral fable. So his characters are not complicated and ambivalent; they are simple types embodying an idea – what Philip Collins calls “mouthpiece characters”. Thomas Gradgrind, for example, represents the cold logic of the utilitarian; Josiah Bounderby is the self-made man, the nouveau-riche industrialist in love with Money; and James Harthouse is the self-regarding young dilettante with no faith and no morals. The characters’ fanciful – and rather obviously ironic – names suggests their allegorical nature: the man who wants to purvey nothing but cold, hard facts is Gradgrind; one of the teachers in his school is named Mr. M’Choakumchild; the selfish industrialist is Mr. Bounderby; and the labour militant who fails to unite the workers is called Slackbridge. Charles Dickens said that in writing Hard Times he had tried “to strike the heaviest blow in (his) power for these unfortunate creatures” working in the northern factories. The result provoked a very mixed reaction from critics. There was certainly more comment about Dickens’s attack on trade-unionism than his critique of the effect of utilitarianism on education. First, from a couple of contemporaries of Dickens: John Ruskin, writer, artist and art-critic, called Hard Times his favourite Dickens book because it explores some important social questions. Thomas Macaulay, historian, poet and Whig politician, noted that the book contained “one or two pages of exquisite pathos”, but also described it as “sullen socialism” because it didn’t display any notion of the politics of the time. The novelist George Gissing was not impressed, calling it “a book of small merit”. George Bernard Shaw pointed out that the novel was “written to make you uncomfortable”. He called it a “passionate revolt against the whole industrialised order of the modern world.” But he also found fault with its inaccurate depiction of trade unionism. Specifically, he thought the character of Slackbridge, the union orator who poisoned the workers’ attitude to the virtuous and independent Stephen Blackpool, nothing but “a mere figment of middle-class imagination". G. K. Chesterton described it as the “harshest of his stories”. He adds that in its “expression of a righteous indignation”, Dickens gets carried away – treating Gradgrind and Bounderby with a grim and somber hatred quite different from the “affectionate derision” he often used in his critique of the aristocratic tyrants of the old order. George Orwell praised Hard Times for its “generous anger”. 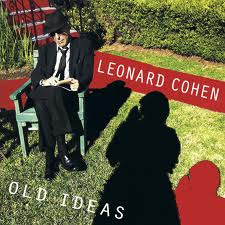 But Sigmund Freud called it a “cruel book that left (him) as if he had been rubbed all over by a hard brush”. For me, the book is an easy read. In line with its nature as a moral fable, the characters are presented in a rather simplistic, black-and-white fashion. The story, too, is straight-forward – with no complicated plot mechanisms. But the characteristics of this kind of story, which makes it such an easy read, therefore, also strip it of pretty much all that makes Dickens’s writing so endearing: the figurative richness of his language; the satiric, tongue-in-cheek tone; the out-right buffoonery of many of his comic characters; and the heart-warming and sentimental episodes, which help alleviate some of the works’ ugly and grotesque aspects. 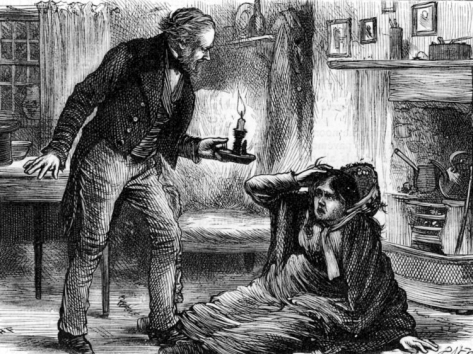 Hard Times really is a one-off – a unique specimen that interests the Dickens-lover precisely because it is so unlike everything else he ever produced. It stands out in contrast – as a book of his that is worthwhile to know, not for its positive attributes, but as a salutary warning of what might have been, if Dickens had lacked that fascinated, broad, comic, humane interest in the world-at-large. 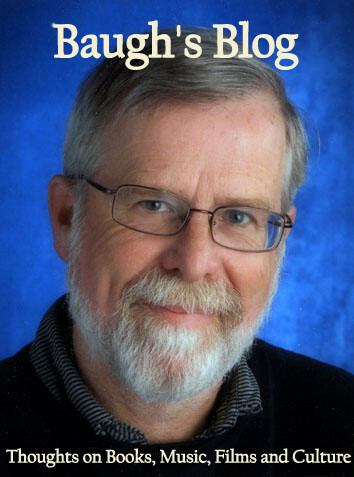 just a note of congratulations as your 60th approaches - i remember when u started this blog with, in part, the goal of reviewing Dickens' work. You've done an admirable job - wish i had an ounce of your steadfast dedication. my only complaint is that with each posting u make, it's like another kick to my head saying "come on kendrick, get to work on yours!" sadly, my "blog" remains an empty vessel, mired in the funk i find myself in these days. Hard Times indeed! anyway, a bit early, but congratulations Clive! "But he reacted negatively to some of the union’s strike organisers. He didn’t think they represented the interests of the mill-workers at all – " This comment Clive, gives an incite into Dickens, his attitudes and beliefs.He always searched out the dregs of society, felt benevolent towards them and wanted to help. His novels highlight the predicament of the hard done by in so many ways, but somehow, as you explain, he doesn't seem to approve of them helping themselves, ie through unions.It's always got to be the bosses, the leaders, the wealthy who soften their hearts and help the poor in Dickens. Is it a sign of those times or is it just Dickens? Social reformers like William Booth, Dr Barnardo, and there were many others, always came from the top strata of society. The women who later lead the suffragettes came from wealthy backgrounds too. Thanks for your input, Tony. I always appreciate getting your reponse. Let's try to get through Little Dorrit about the same time! Lots of memories of the Marshalsea Prison in Southwark. Book Review: Charles Dickens 10 - "Bleak House"